2-56 with eye for connecting rigging wire to a 2-56 clevis or other fittings with same thread. 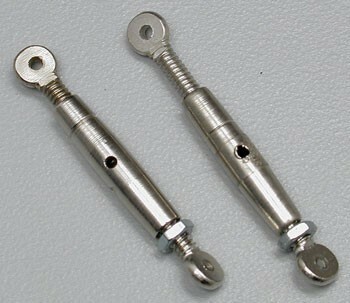 4-40 with eye for connecting rigging wire to a 4-40 clevis or other fittings with same thread. Du-Bro 1/4 SCALE TURNBUCKLES For discriminating builders, Du-Bro 1/4 Scale Turnbuckles are fully functional and look good, too. When attached to your guy wires (flying wires) they add a working touch of class to almost all larger models. Flying wire not included. 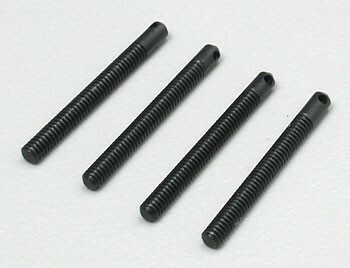 Perfect for many 1/4 scale applications, including strut attachments, flying wires, tail fin stab bracing, and bi-plane aileron connectors. Threaded internally 4-40. Heavy duty nickel plated steel. Includes 4-40 screws and hex nuts. For use with (4-40) threaded rods. 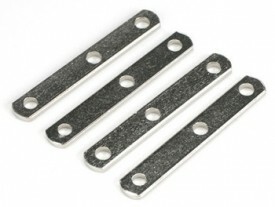 Perfect for many 1/4 scale applications, including strut attachments, flying wires, tail fin stab bracing, and bi-plane aileron connectors. Heavy duty steel and nickel plated. Includes screws and hex nuts. 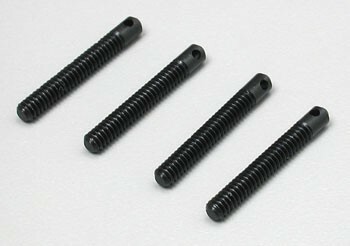 For use with .093 diameter (4-40) threaded rods. Pre-drilled for 4-40 screws or bolts. These 1/16" (1.5mm) thick straps fit perfectly into Du-Bro #302 and #303 Rod Ends. They can be bent or reworked to your applications. Straps are 1 5/8' in length. Use these straps for a variety of rigging. 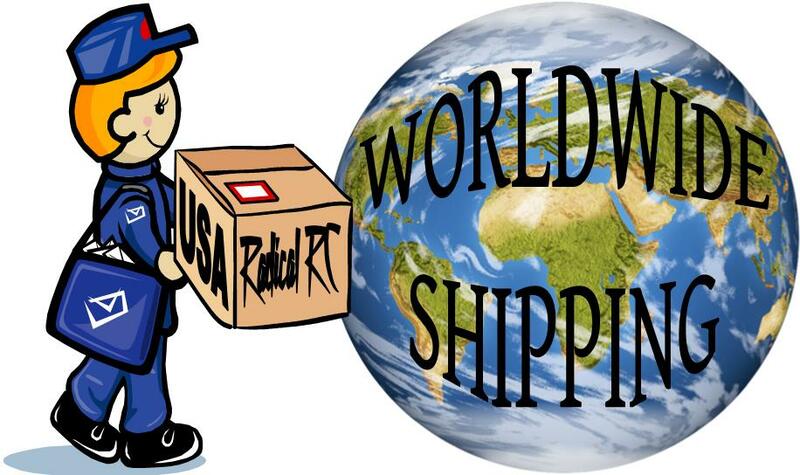 You may bend for various purposes such as tail surface rigging, flying wires or bipe wing rigging. Body clip / hitch pin. Use for securing struts and car bodies. 9 each. Zinc plated steel. Wire diameter .041".